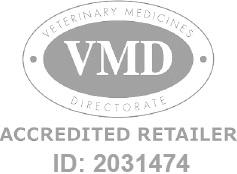 Strongid Horse Wormer is a Prescription Only Veterinary Medicine and by law requires a prescription from your vet. Strongid is an oral paste wormer for horses. Strongid paste is highly effective against all the important gut-dwelling roundworms. Also effective against tapeworms when used at twice the normal dose. One syringe of Strongid is sufficient to treat a horse up to 600kg in bodyweight as a single dose.